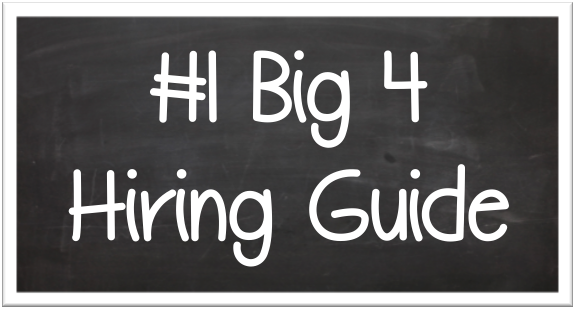 Big 4 Guru - Get Hired By Big 4 Accounting Firms! End You're Big 4 Accounting Firms Pitch with a BANG! First off, for a full Big 4 Elevator Pitch, check out my eBook which includes an 8 Step guide, but for now, let's talk about the ending! It may sound simple but it’s one of the most underestimated tricks in the book. Whomever it is you’re speaking with, have a question directed specifically at them as soon as you finish you’re pitch. While the pitch is supposed to be about you, it’s great to transition to them. You want them to leave feeling like they know you, but they also know that you like, are interested in, and are enthusiastically curious about them! If you can build a relationship with them, in the few minutes you have, it can make a big difference when they are narrowing down the candidates. How long have you been with the firm? What are you major clients? Did you do an internship? Are you from <insert city> originally? Do you travel a lot in your role? Have you been to this University before? Did you know you wanted to do accounting? What is the most challenging part about your job? What is your biggest piece of advice for someone like me who is 1-Searching for a job, and 2-Preparing for a transition to the workforce? I hope that was helpful! Would love your questions as always to thebig4guru@gmail.com. Older:Great Resource for Big 4 Accounting Firms Hopefuls! Get Big 4 Accounting Firms Updates! Big 4 Accounting Firms Book of Secrets! Big 4 Guru, LLC 2014 All Rights Reserved.